Panera delivery service is relatively new. They began delivery in the early part of 2016 and continue to spread across their chain. By the end of 2017, the CEO Ron Shaich has in plan to add delivery service in more than 2,000 locations. 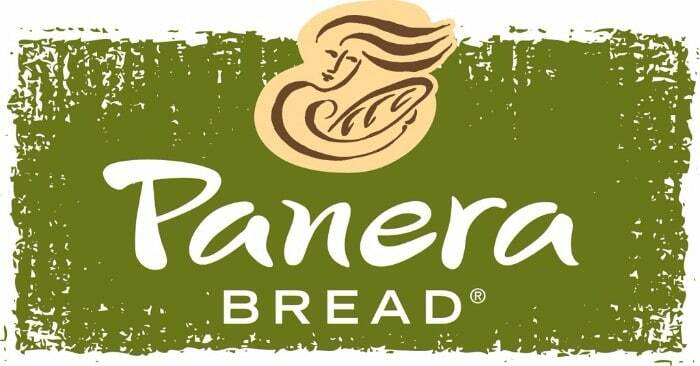 We will be going over how much Panera delivery has expanded since it began. Also, we will explore a few benefits that have helped this franchise as well as their customers. We also will discuss their initial delivery areas so far, the time it takes for delivery, and what the delivery fee entails. Panera Bread has been looking at providing delivery services for nearly five years before initially putting it into action. With delivery services being relatively new Panera Bread set a goal to provide this service in at least 10% of their store chain by the end of 2016. However, they have succeeded well and above that goal with 15% providing delivery service at the end of 2016. Panera Bread has a menu that is well suited for delivery. They make the order deliveries themselves without having a third party involved. By making the deliveries themselves, they can make it more personal to their customers. By mid-2016 the company had 2,007 bakery-cafés in 46 states including Ontario, Canada, that are operating under the new Panera delivery service. They original started a quiet yet random test by offering delivery services on a few particular chain locations. At the present 15% of those chain locations now provide delivery services. There is a plan in place to continue spreading this delivery service through 2017 with 40% participating by the year’s end. There’s no initial announcement of where these locations will be, but as soon as we receive the information for your convenience, we will surely get the information out to you. It will take more or less the same amount of time to get your order ready as if you’re sitting at your local chain location. However, the time to deliver your order will depend on many things. These include the traffic in the area, the distance between the chain location and where you wish to have it, and how much staff is available for delivery service at the time. You can place an order at any time at your local chain location for delivery as long as it is a participating location. Delivery times could be different from location to location this will mainly be due to staff being available for delivery services and the hours the chain is open for business. Always keep in mind like other delivery services or a job, in general, there is always the possibility for call offs which may affect the time frames that they are available for delivery services. As this transition progresses so will the time frames. The company’s delivery fees can vary from location to location. Panera Bread will treat the orders just the same as they would a carryout order; however, the fees are slightly different. The added costs are part of the Panera delivery process and could add up to more or less $3 to $3.50 per order. For instance, if your average order is about $9 with added delivery charges plus a tip you’re spending around $19 which is an increase of $10 for the added convenience. Panera delivery fees could fluctuate somewhat depending on the driving distance to your location and size of your order. Commonly, small order deliveries have a $5.00 minimum along with the delivery fee and tip. For catering orders, they are on average a higher fee that could range from $15 and up plus the tip. Also, catering orders require at least ten people to place an order in your group. The added cost is necessary for the additional service they are offering the public. The CEO Ron Shaich primary goal for Panera delivery is to expand their customer services while receiving some sales for the added convenience they are bringing to the community. The Panera delivery has begun throughout certain locations, the sales have increased higher than those that don’t offer delivery service yet. Given the fact that the chains that have introduced to this service have an average of 136,000 digital orders daily, this average doesn’t include catering. They have over the years continued to add great enticing foods to their menu with great flavored soups, fabulous bread bowls, exotic sandwiches selections, healthy salads to choose from, and a variety of delicious pastries. In this article, you have learned some valuable information about Panera delivery services such as where they deliver, how long a delivery takes, and their delivery fees. The delivery service is a great benefit to those in the business field that are unable to leave the office for lunch to receive great tasting and healthy food. It also can benefit those homebound individuals that want something fresh and new. Check out their website to further look into their menu and delivery services. Feel free after you have tried their delivery services to leave a comment on their website or Facebook page. By doing so, it will give others a chance to learn about your experience with Panera delivery services. Hey Buddy!, I found this information for you: "Panera Delivery 101: Areas, Hours, Fees". Here is the website link: https://all2door.com/panera-delivery/. Thank you.